Amazon's upcoming Android Market competitor, the Amazon Appstore, is in hot water for its namesake. On Monday, Apple filed a lawsuit in a California federal court claiming Amazon had infringed on its trademark of the phrase "App Store." Apple applied for a trademark to this name way back in 2008, but it wasn't approved until January of 2010. Since then, Microsoft has filed a dispute with the trademark office alleging that the grant was improper. That complaint's outcome is still pending. In the meantime, Amazon may have a difficult time asserting that its use of "Appstore" (as opposed to "App Store") doesn't violate Apple's trademark - it's hard to deny that Apple's App Store is a well-know name in the mobile world. Amazon has refused to comment on the litigation for the moment, as is their policy. The legal determination to be made here is whether or not "Appstore" is sufficiently different from "App Store" to negate a finding of infringement. Of course, if Microsoft's complaint had the trademark nullified, Apple's suit would be a moot issue. The question the judge will ask (the jury, perhaps) is likely to be if a reasonable consumer would find the "Amazon Appstore" and the "Apple App Store" likely to promote confusion between the two products, as the names are not technically identical. It's an interesting case, and one that largely depends on Apple's ability to maintain its death grip on the "app store" name. 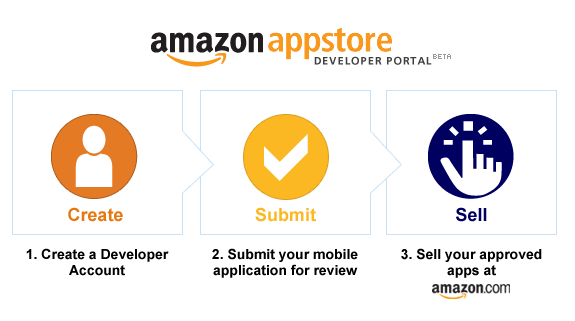 If Amazon feels they can't win this one, the Appstore will likely have to undergo a name change. Honestly, it doesn't sound like that'd be too hard to do. But I'm not a multi-billion dollar online retailer (that's probably for the better).